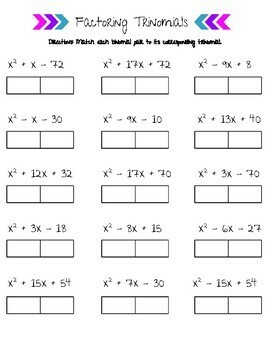 This activity has 15 different trinomials (with a coefficient of 1) for students to factor. 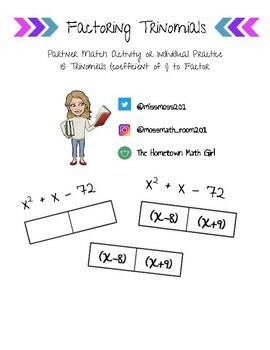 Using the binomial cards, students can either glue the matches to the empty boxes or teachers can laminate and cut out the binomial cards, and have students work together to match the binomials to their corresponding trinomials. Print and laminate the worksheet for group work or partner practice so you can use over and over!